NFC (Near Field Communication) is found today in almost every phone. But have you wondered how you can use it? In simple words, it’s a technique of cordless data transfer that detects and allows technology in close vicinity to communicate without the requirement of internet connection. It’s super fast and easy! The tech involved in NFC is deceivingly simple. Originated from radio frequency identification (RFID) technology, a NFC chip works as a part of a wireless link. As soon as it is activated by another chip, small sections of data can be transferred between the two devices when held a few centimeters from one another. There is no requirement of a pairing code to connect and since it makes use of chips that work on very large amounts of power (or using even less passively), it’s far more energy-efficient than other cordless communication methods. Basically, NFC works to recognize us by our NFC-enabled cards and devices (and by extension, our personal info such as bank accounts etc). 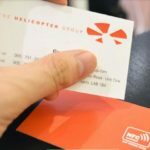 How to Use NFC Right Now? We already know NFC chips stored inside credit cards for contactless payments. However, a bit more recent, and actually more exciting, use of NFC is with your smartphone, and even smartwatch, as a way to digitize your whole wallet. Most mobile OS makers have their own apps that provide unique NFC functionality. Android has a wide range to choose from, Android Pay being the most famous among them. Samsung Pay is also available for Samsung phone users in the US and is about to enter the UK soon. However NFC is not limited to payments. You can also transfer photos, directions and contacts by holding two phones near each other. Even iPhones from iPhone 6 onward are NFC enabled and so are Apple Watch and Apple Watch 2, although for limited use, i.e. for Apple Pay. And it is also now used in business cards! NFC business cards by bigDAWGS are either standard size or you can also get custom-sized. They have an outstanding print quality and when tapped, the content will load and be viewed automatically. 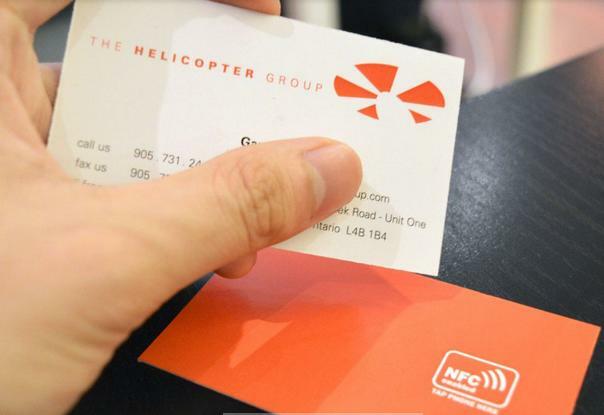 The printed cards have a whole lot of NFC tags performing various functions, including map, navigation, call, text message, email, app download and more. Connect effortlessly with NFC technology and make your life super-easy.